Photograph showing the match between the 'F.D.' 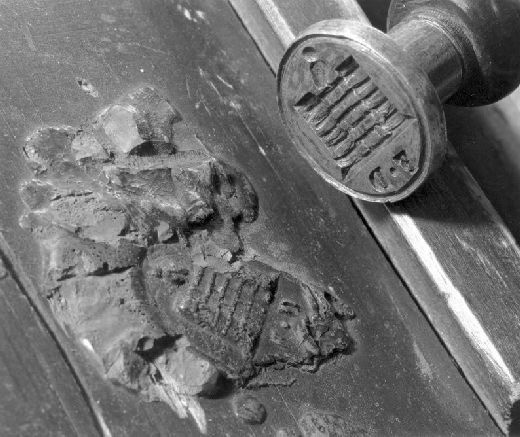 [Frank Dunhill] liquorice Pontefract cake stamp and the wax stamp sealing the first secret ballot box used in Britain in 1872. Dunhills company emblem was then of a castle with an owl perched on it.